Door etymology: Merger of Old English dor (pl. doru, “large door, gate”) and Old English duru (pl. dura, “door, gate, wicket”). 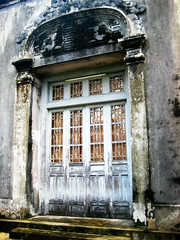 The base form is frequently in dual or plural, leading to speculation that houses of the original Indo- Europeans had doors with two swinging halves. Form dore predominated by the 16th Century, but was supplanted by door. First record of dooryard is c.1764; doorstep is from 1810. Doors symbolize hope, opportunity, opening, passage from one state or world to another, entrance to new life, initiation, the sheltering aspect of the Great Mother. The open door is both opportunity and liberation. Gates shares the symbolism of entrance, entry into a new life, communication between one world and another, between the living and the dead. 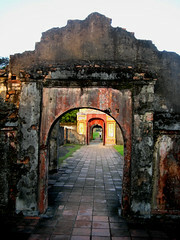 Gates and portals are usually guarded by symbolic animals such as lions, dragons, bulls, dogs or fabulous beasts. At the gates of the House of Osiris, a goddess keeps each gate, and her name must be known to enter. A door is an important element of a house, a symbol of passage from one place to another, one state to another, from light to darkness. Entrances to holy places (temples, cathedrals) are not necessarily invitation to participate in the mysteries contained inside. The act of passing over the threshold means that the faithful must set aside their personalities and materialism, to confront the inner silence and meditation that it symbolizes. As an access to a refuge or the warmth of a hearth, a door also symbolizes communication, contact with others and with the outside world. 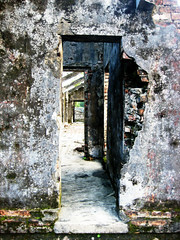 An open door attracts because it signifies welcome, invites discovery, but a door can also signify imprisonment, isolation. A closed door signifies rejection, exclusion, secrecy, but also protection against dangers and the unknown. A doorway has a narrow view of the world, but a person can walk through the doorway. The doorway is their opportunity to actually make a difference in the world. People who are more willing to make a difference in the world have an easier time walking through the doorway then others. Characters in stories that are too scared to walk through a door are also scared about what the world might do to them. They would rather keep that doorway as their shell from the rest of the world. Write about doors. Doors of perception, cellar doors, sliding doors, The Doors. 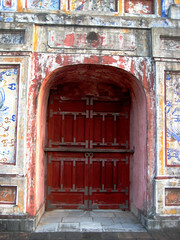 A portal or entry. A doorway. Indoors and out of doors. A door to your mind, locked doors, open doors. What does a door mean to you? Off your hinges? You make a better door than a window? Katy, bar the doors! ybonesy is on her way, and Lord knows, we don’t want her shadow to darken the door. There are so many door idioms. We beat paths to doors, get a foot in the door, see someone to the door, close one door only to have another open, and think fondly of the girl next door. Pick up your fast-writing pen and your notebook and write without stopping. Cross that threshold, but don’t cross out. For 15 minutes. Now. 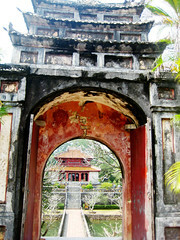 Khai Dinh, or Emperor Minh Mang’s burial palace. Since I’ve not written on a topic like this before, I’m wondering if I should post my 15 min. writing on Doors here in the comments or ? Jude, how about we post yours when we do ours? We’ll make into its own post. We do that every now and again. We love knowing others are also writing on the same topic. Sounds good, bones. Just let me know when. 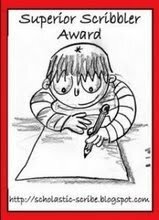 Jude, I’m so excited you’ve done a Writing Practice with us. I look forward to posting it with ours next week. It’s so great for us when people are inspired by the Writing Topics. And it’s inspiring for us to read what others write. Thank you! ybonesy, the photographs in this post are wonderful. I just had a moment to really study the detail in them, your doors from Vietnam. They are so different from anything I see here in Minnesota. Doorways are gateways to me. And I often notice them, too. Remember that poster that came out all those years ago? I think it was the Doors of Dublin. I’d have to go back and see who the artist was. When I think of doors in my childhood, I think of Mom decorating our front door for Christmas. Sometimes she’d go all out. Or anticipating what would come through the door. I should save all this for my Writing Practice. Great Writing Topic! 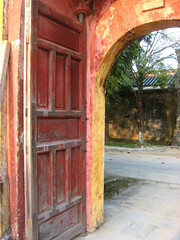 What did you notice about the doors in Vietnam that made them different than the doors you see in New Mexico? I’m curious about what struck you, or prompted you to photograph the doors there. What a fascinating post sloWalker! I have always loved doors…and their mysteries. I can’t wait to read what you folks write about. QM, the Dublin doors… That’s the very first thing that came to mind. I drove all over to see them and their colors, sizes and intricacies many years ago. (I probably could have walked faster what with all the traffic…HA! ).They’re really amazing. The one door that haunts me still today (I guess it’s more of a gate entrance) is the tower of London’s water entrance. When you think of all the people who have traveled through that water way in a small boat…under those black spikes…not knowing their fate…it must have been so frightening. I believe the future Queen Elizabeth “visited” several times… even as a young girl. How terrified she must have been. How relieved to be released. When I visit historical places, I am always mindful of the people who came before me, those who’s lives have affected mine through books or art or music. It’s wonderful to know they walked where I now do. Thank you for this post. I’m looking forward to it! QM, there was something about the doors that actually seemed familiar to me, which was their color. Often bright colors–reds, yellows, oranges. There were wooden windows, too, that I photographed, in bright purple-blue (that cornflower color I love). But the colors had faded over time, like they do under the bright sun of New Mexico (I noticed the same thing in Cuba when I went there in the early 1990s). The fading colors, which were even more beautiful in their time-worn state–first drew me in. In fact, I started photographing close-ups of the walls just to capture the colors so that later, when I’m mixing paints I can go back and try to replicate the colors. They were amazing. And then there was this sense of passage that also became apparent, walking through doorways and looking back to see other doorways. 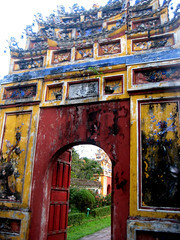 There were a lot of people near the main areas of the Citadel in Hue, but once you walked out to the ruins of where the emperor lived, where his mother lived, and his wife lived (they all had separate areas), and where the concubines lived and were cared for (by eunuchs) — we were the only people. That’s where I noticed doorways often left standing. No walls, but many doorways. But the architecture was, indeed, very different and impressive. So massive. 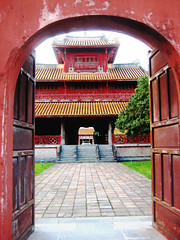 Of course, these were palaces of emperors and not anything like you might see in the modern city. 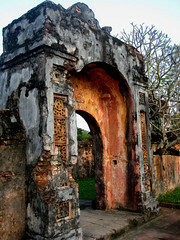 One of the palaces, the one with white windows at the Palace of Emperor Khai Dinh, was built in a more European style and specifically French, because he was allied to the French. He’s not remembered as one who did good things for Vietnam, as he did not stand up to the French. Wonderful exploration on doors and the symbolism of doors and gates. I liked the quotes, and the photos are gorgeous, too. I wondered if you would extend the portal exploration to internet links as doorways, and clicks as passage through gateways; how each room on the WWWeb has many doorways to other worlds. The internet can be a labrynth with innumerable portals to other places. So I’ll toss my 2 cents in through the dorway here. I loved your etymologies at the beginning, too! Don’t you wish we could take a 4th dimensional camera back to a few Indo-European villages and take pictures of their doors, both to see them and see if they used what we know as Dutch doors? Ben, some good ideas on doors. Internet portals and Dutch doors. Hey, how did they get that name, Dutch doors? When I read this Writing Topic, I thought immediately of the kivas in the Southwest. The doorways were so significant. Many times the doors were on the top and you crawled through them and down a ladder. I really like this topic and am looking forward to writing on it. Just for the fun of it, QM, I did a google search on “dutch doors” and their meaning. I didn’t spend much time, admittedly, but I did find one comment thread that seemed to indicate that the term “dutch” used as an adjective might have a derogatory meaning. A dutch oven, dutch uncle, dutch dutch treat–all may signify that they’re not real ovens, uncles, treats, but cheap ones or not-so-great ones. I don’t know. We have two double dutch doors in our home, and I think they’re fabulous. One is in the entrance, the other directly across the foyer and leading out to the back patio. They are extra wide and are original to the house. You can open the top on a breezy summer day and just let that breeze blow in. So fun. Also liked Ben’s idea of the portal in the internet sense of the word. What an appropriate use that has turned out to be! I love all these collected thoughts about doors. I love doors – portals to another place…or space! When I was a child I hated doors, or at least I did at bedtime. My bed was so positioned that there was my bedroom door to one side, the door leading to the attic on my other side. I was terrified that a burglar would burst through one of the doors, but I was never sure which one, so I would try to fall asleep (ha!) with my face up, trying to keep one eye on each door. I must have done this for a year or longer – it wasn’t the easiest way of getting peaceful sleep! And of course I never told anyone how afraid I was. I checked my photo files to see what doors I’ve photographed. I have over 300 photos tagged with door. I guess I like taking photos of doors! I love your photos, yb – such bright colors. Such exotic places.